Drones seem to be everywhere,they are being used for a variety of reasons, from flying for fun to using them for commercial reasons,drones are here to stay. Many people are not very fond of drones,probably because of its association with military use. Many of you may ask ‘should I buy a drone’? my answer is a resounding yes and I will give you 9 reasons why you should purchase a drone and how they can help you. Drones have been around for a long time, the first commercial UAV flight was in 80’s and back then they were big ugly things that were used only for industrial and military purposes. 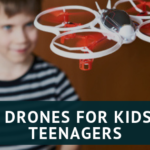 However, with advances in technology and innovative designs, drones have made their way into the consumer market in a big way. 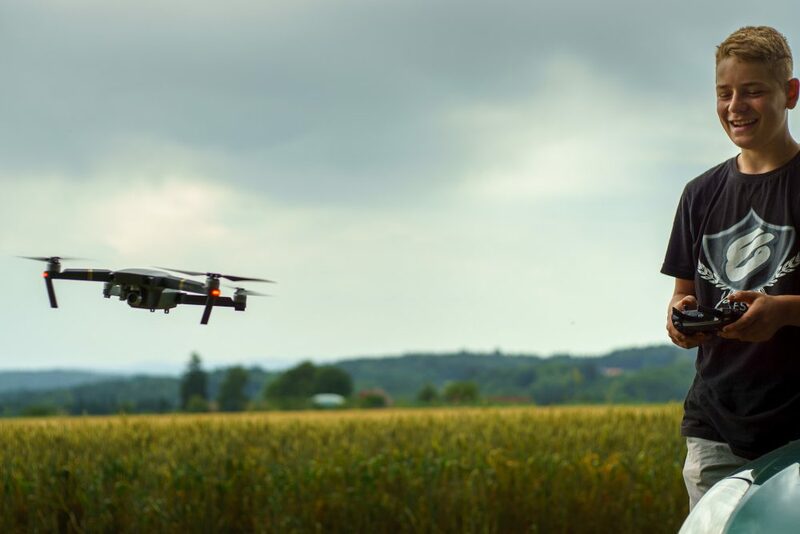 Geofencing and obstacle avoidance technology have made drones safer and easier to fly for both beginners and experienced pilots alike. 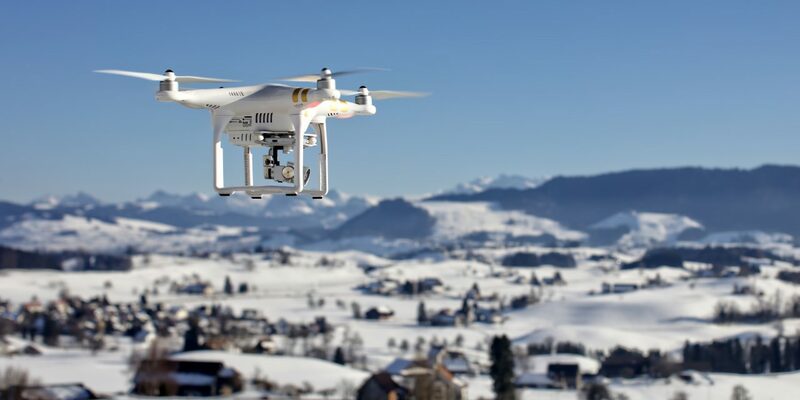 Add to the fact that they many drones are now compatible with many types of different cameras from you 4k to hyperspectral cameras, drones are being utilised in many commercial applications. The consumer drone market is worth a reported $1bn and set rise to over $4bn by 2024. 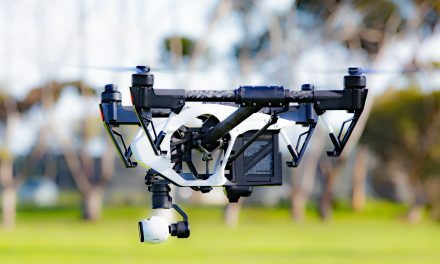 With drones fitted with cameras being hugely popular, aerial photography as a hobby and for commercial reasons is a huge driving factor behind this growth. The drone industry in the commercial sector is worth around $2bn but according to PWC, it is set to grow to an astonishing $127bn by 2020. 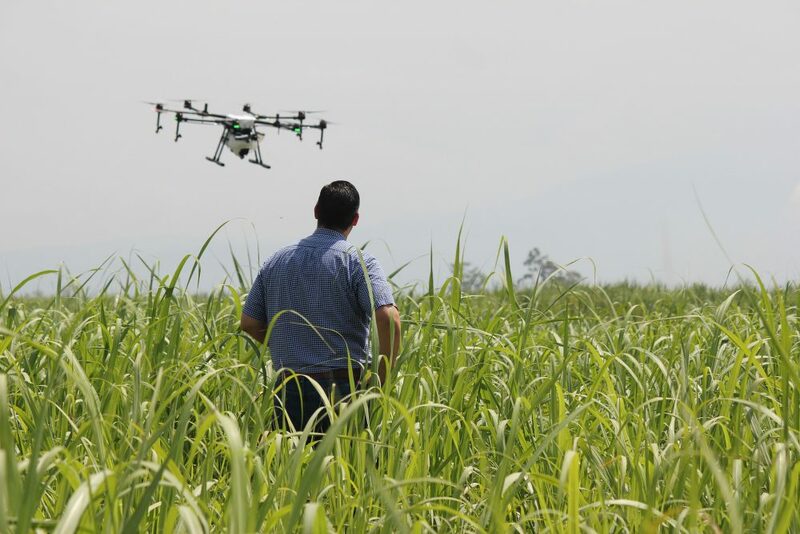 From aerial photography to analysing crop data, the list of things a drone can do is very impressive and it keeps growing. So why should you invest in a drone? I’ll give you my reason whys. Yes, who didn’t wish for a flying vehicle of some sort as a kid? Back then RC planes and helicopters were expensive. So not everyone could purchase one, with the drones it is a different story as you can purchase a camera drone for under $50. Some are built to be flown both indoors and outdoors and can do fancy manoeuvres at the push of a button. For those who are adventurous, there are drones that can reach speeds of up to 40kmh and follow you around automatically. You can live stream to your mobile device and the more expensive ones you can live stream straight on YouTube. 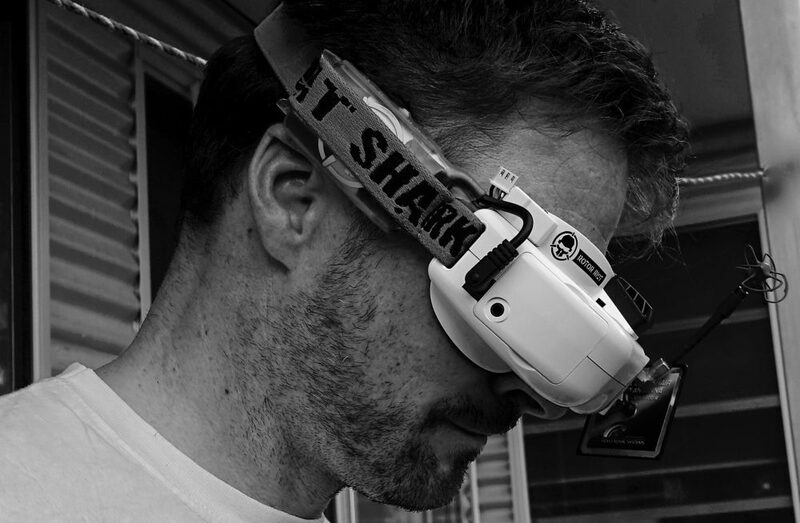 Many of the high-end drones like all the DJI range of drones, Parrots bebop 2.0 and Yuneec typhoon series all have the capability to connect to a compatible VR headset. This will give you a more immersive flying experience, letting you see the world from new angles and heights. All VR headsets have two HD screens so picture quality is of the standard and they offer wide angle field of view so nothing is missed. Some drones allow for two headsets to be connected so you can enjoy the experience with friends and family. With many high-end drones coming with 4K camera stabilised by 3 axis-gimbal, shooting amazing aerial photography has become much easier. Starting an aerial photography business will become even more lucrative and competitive as the drones become even more popular. There are so many opportunities within this sector, from wedding photography to real estate, from taking aerial videography of nature to filming large events. If you have a photography business, then adding aerial photography to your service list will expand your client base. The good thing is because drone photography is still in its infancy, the market is not very competitive so it’s easier to get started. 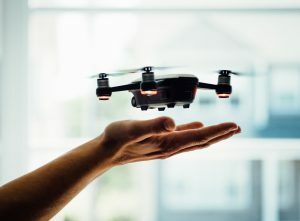 With their growing popularity, drone manufacturers will be looking to reach a wider audience with drones for different needs.From the Blade Nano QX to DJI’s Inspire 2, there is a drone for anyone who wants to pilot one. And because they are getting more technologically advanced the learning curve will get smaller and smaller. Also, as competition between manufacturers increases, prices for all types of drones will start to decrease. Yes, you can race for fun with friends and family or you can now race in professional leagues that reward you handsomely should you win. 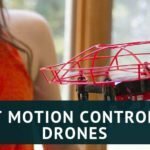 Drone racing requires a bit more skill than your average drone operators, as you will be moving at speeds of over 50kmh without the aid of obstacle avoidance technology that comes with most high-end drones. 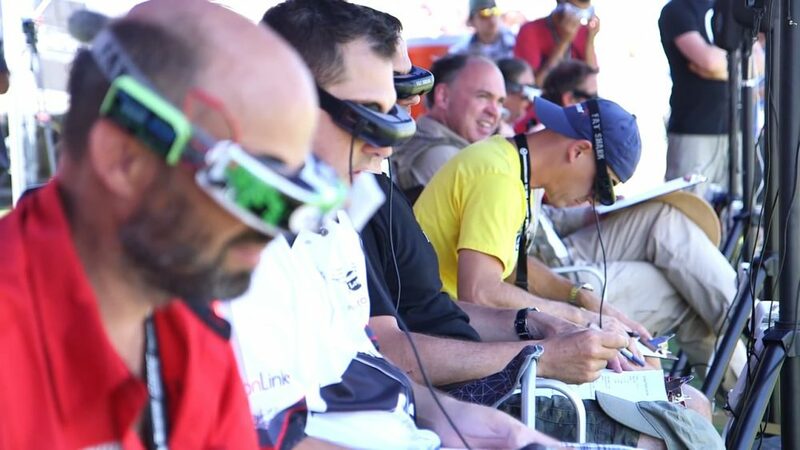 Drone racing is done via your controller if it has FPV capability, smartphone/tablet or a VR headset. VR headsets are usually used by those racing in professional leagues and they are quite expensive to purchase. Drones for racing are usually modified by their users for extra speed and stability and many times pro races will build one themselves. 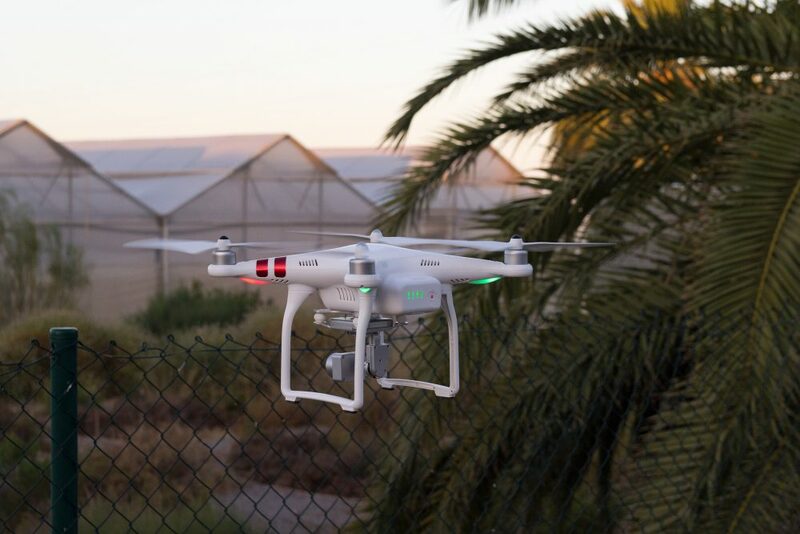 Drones can be used for surveillance of large areas of land, the advantage drones have is that they now come with UHD cameras and sensors which can detect movement and record high-quality footage. The problem is that consumer drones are not equipped with long lasting batteries, you will only be able to survey your area for around 30 minutes. With technology advancing extremely quickly, I expect this to change and there will be drones made specifically for security purposes. 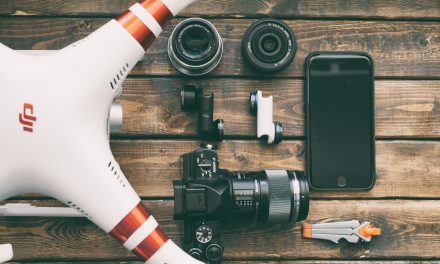 No need to look for clients, you can contribute your aerial photography and video footage on many of the stock photography/video footage sites that are flourishing online. Many of these stock sites pay on a tiered system, easier and you get a percentage from a download and it rises once you pass a certain threshold. 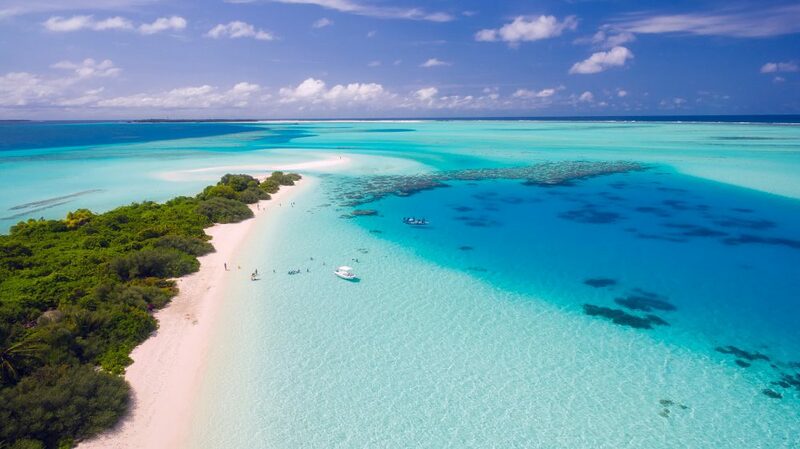 There are sites specifically for aerial images and video footage like Hoshiho, they cater to clients that look for quality aerial images and video footage.Or you can build your own stock footage site and sell your images and footage at your own price. Even the cheap drones that have little stabilising technology are getting easier to fly. With most drones now come with advanced 6 axis gyroscopes, even a beginner would have little trouble flying these robots. 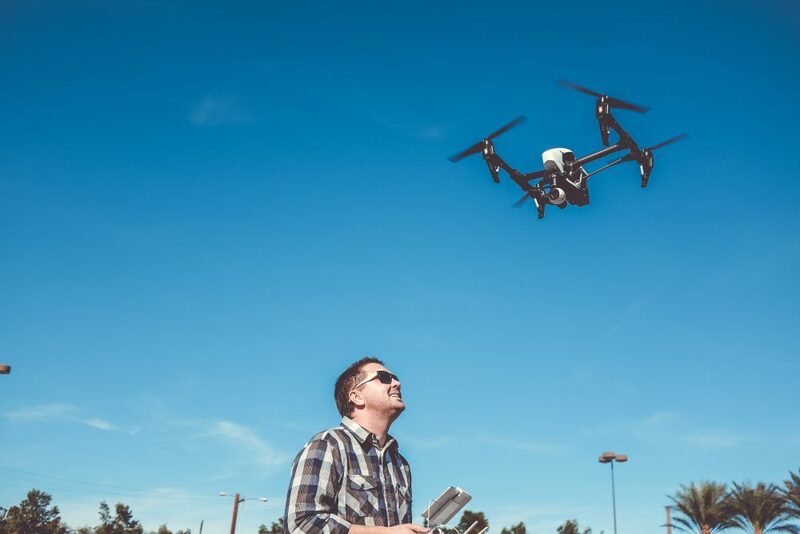 The more expensive drones now come with GPS ,obstacle avoidance systems and intelligent modes, all these features make drones easier and more fun to pilot. Many drones like the Phantom 4 Pro can even be controlled through hand gestures. As technology advances, drones will only get easier and more fun to fly. 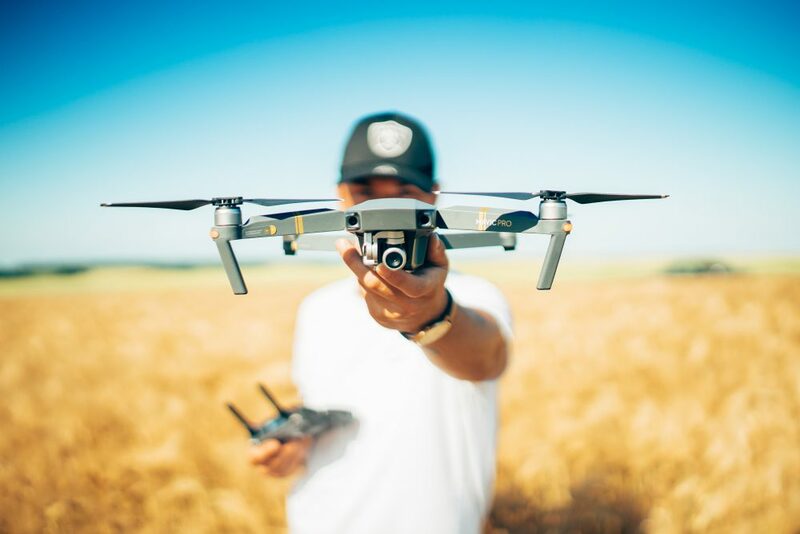 Even if you a complete newbie, there are tons of resources on the web that provide guidance to safe flying Here is my article on a beginner guide to flying a drone. Who does not want to be in the popular group? Just like when the mobile phone revolution took off everyone wanted the latest mobile phone with most advanced technology. 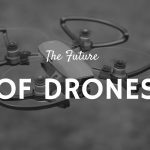 Drones are gaining popularity because they are becoming more accessible and the technology is always evolving. I have always been fascinated with technological advancements and the amazing stuff we can do, drone technology will be no different. So, what kind of drone will you get? are you a DJI fan like me or do you prefer the ones getting drowned out by DJI’s runaway success? or if you despise drones (and many do) let me know why. What is the best way to learn how to fly a drone without destroying it in the process? I just bought a DJI Phantom 3 but I’m scared to fly it in case I crash it. I’ve never flown a drone before. Is buying a cheapo and using that to learn the way to go. Will the controls translate to the higher quality model? I’m looking to use it take high altitude pictures. Hope you can help. There are a lot of tutorials online and on YouTube, at the bottom of this comment I have linked to one of the best drone fling guides I have come across,hope it helps you. I would definitely use cheap drones to hone your skills, however, expensive drones are easier to fly because of the sophisticated technology they come with. Which Phantom 3 drone do you have? There 4 versions,all them are good but some have more safety features that make them easier to fly. Not sure I think it was the cheapest one you can buy. Where is the flying guide you mentioned? It’s a brilliant guide and that website is a superb resource for all things drones. I love drones, They are really cool and fun to have. I want to purchase a new drone for my little boy, the previous one he had crashed within a few months. I intend to purchase a better one with greater quality. which of the products will you recommend and where can I purchase it? Drones are indeed fun, if you are looking for a high-end drone you will be spoiled for choice. 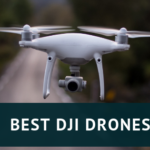 Take a look at this list, its a list of the best drones for aerial photography. I love drones as well, I am even starting a website about them too. I personally would love to get a drone for aerial photography to maybe even start a photography/videography business as part or on side of my website. For a person who has some, yet little experience flying drones, what drone would you recommend I use to get started with aerial photography/videography? First of all good luck with your site,if you are just starting out, I would advise that you purchase on of the less expensive drones to hone flying skills. There is a small learning curve and if you are anything like me,you may crash a few times. As for a drone for aerial photography,there are so many to choose from, I have actually put together a list of my favourite drones for aerial photography. Check it out. There is one drone that is not on there but I think I may include it, this is the Upair one drone,its cheaper than most of them on my list and it comes with 4k camera. Check out my review to learn more about it. The idea behind drones has always worried me a bit. I always saw drones as a technology used by the army for evil purposes. I think it’s time to reconsider. I could easily consider buying a cheap drone in the future. Technological advancement fascinates me. I’m eager to see what drones will look like in a few years from now. I also have to admit that drones are a lot of fun to play with. They are no longer as expensive as before and not meant for military purposes. I like how you can go around and take a look at things that you normally can not look at by walking around. I have a co worker who bought a drone and is playing around with it right now. He loves it and there is also online database that records where he flew, how high, and how long he flew his drone. He did tell me that there are zones where you are not allowed to fly. Do you have any suggestions for that? They are similar but there is a reason for price difference, the Mavic comes with a better camera,flight time is longer,more autonomous flight modes, is faster and has a longer range. However,they are not huge differences that will make a significant difference to your flying experience (unless you are a professional photographer). My favorite drone is the Mavic,but the Spark is still a fantastic drone,like all DJI drones are.